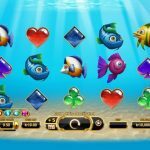 The fish that are placed in the latest video slot game from Yggdrasil, Golden Fish Tank are not here for decoration only. Although we can say that they are pretty and pleasant for the eye, but if you match them nicely you can grab some good wins thanks to them. There are 4 different fish used here on the reels and they float freely in the aquarium. When you trigger the free spins round in this game you can see its real potential. So, you need at least 3 ‘free spins’ scatter symbols to activate the free spins round. You can receive between 6 and 10 free spins and between 3 and 5 picks, depending on the number of scatters you used to activate the feature. Those picks are actually enhancements you will get and they are the ones that can turn this session into a profitable one. So you can get a x2 multiplier on all your wins, one type of fish stacked per spin, one fish as a wild, one or two wilds added to the reels per spin or a sticky wild. If you are playing with the Golden Bet you will receive extra picks. 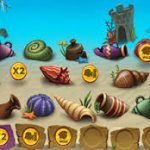 Golden Fish Tank is one of those games that you truly need to try. The design of the game is appealing and nice but that is not the thing that caught our attention. The special features are the ones that took our breath away. You just need to be lucky when you have the chance to pick the shells and reveal your enhancement. We have to admit that we were pretty lucky and for that reason we advise you to give this game a chance and we hope that your session will be even better than ours. 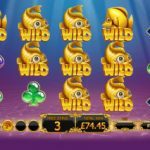 For another great engaging slot you should consider playing Gem Rocks a 6 reel slot by Yggdrasil.